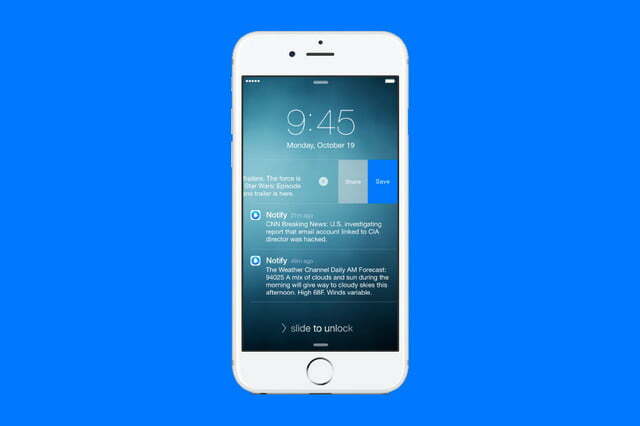 Update on November 11, 2015: Facebook has officially announced Notify, its notifications app that delivers news and other timely information based on a user’s interest (things you care about, Facebook says), and covers a variety of topics. It’s now available for download from the iTunes App Store. The Final Scores station from FOX Sports provides end-of-game summaries for your favorite teams. The Daily AM Forecast station from The Weather Channel sends a local weather forecast at the start of your day. Hot New Trailers from Fandango gets you the newest trailers for the hottest movies as they drop. Breaking News from CNN and Top Stories from Fox News deliver the day’s news headlines. The 10 Best Dressed station from Vogue is your weekly digest of the best-dressed celebs. Daily Meditation from Headspace brings bite-sized guided meditation exercises into your day. The Flashback station from Getty Images delivers iconic imagery from this day in history. 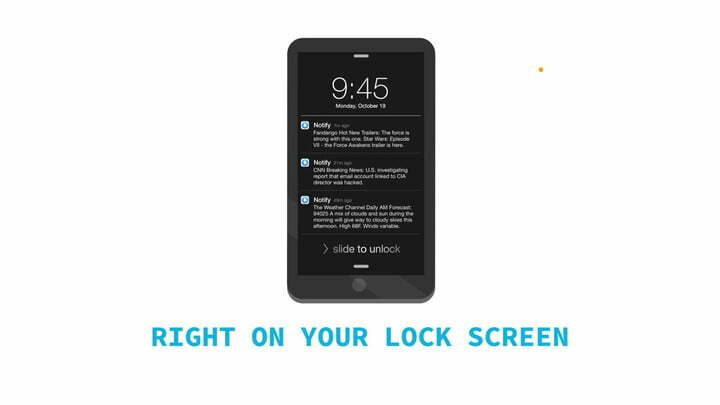 Notifications will pop up on your lock screen, showing you a brief of the news; swipe or tap the item will take to the source for the full content. 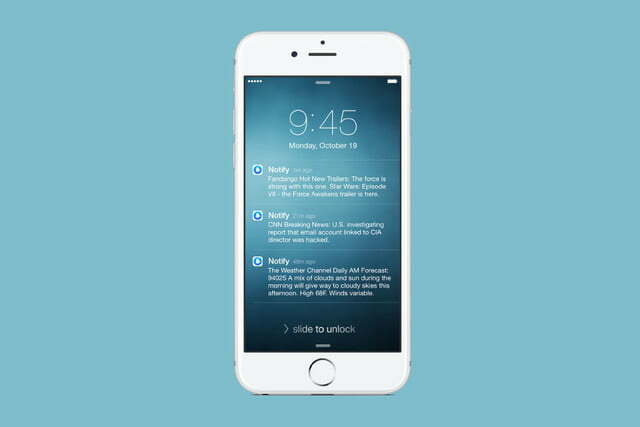 If you are busy, you can add it to your Saved Notifications list, or you can share it directly with friends from the lock screen, either via text, email, Facebook, etc. Original article: Facebook, if it wasn’t already abundantly clear, wants us to spend more time on its network and by extension more time with its ads. One way it’s attempting to carve out a disproportionate amount our collective attention is by streamlining elements of the user experience. Another is by aggregating content, specifically news content, that’s up-to-the-minute, easy to access, and somewhat exclusive. 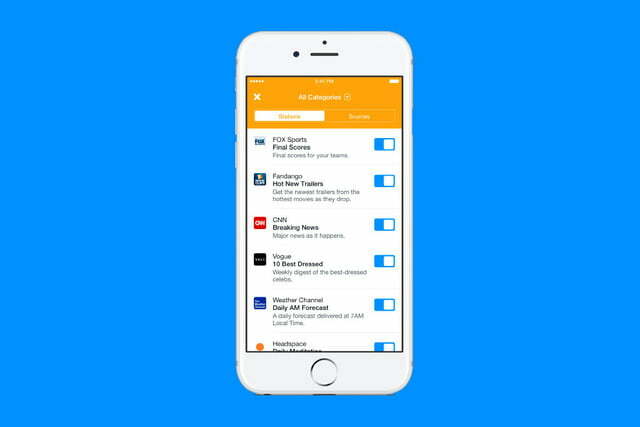 It’s the latter effort that’s reportedly getting attention next week: according to the Financial Times, Facebook’s poised to reveal Notify, an app which serves breaking from around the globe. 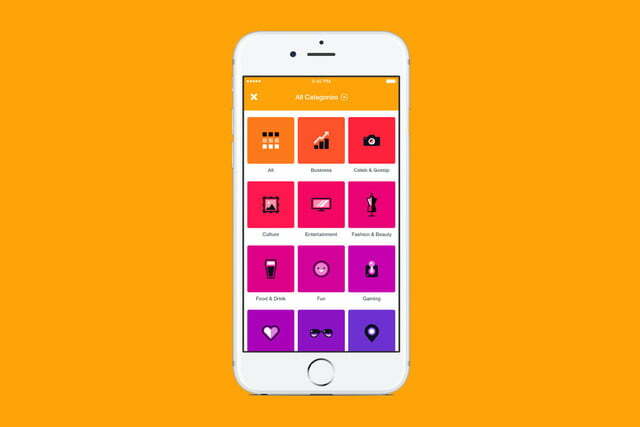 The Times report describes Notify as an aggregation of “a range of print, digital and video” news stories from “professional media outlets,” and that seems apt; the service is launching with “a dozen” partners including Vogue, Mashable, CNN, the Washington Post, CBS, Comedy Central, and Billboard magazine, and will work, apparently, by alerting users to breaking news stories to publishers to which they’ve subscribed. It’s in effect a digital portal for developing stories. Notify follows on the heels of Facebook’s first news project, Instant Articles, which the social media behemoth debuted in May in a bid to encourage partner outlets (among them The New York Times, The Guardian, BBC News, and BuzzFeed) to host articles on its servers. 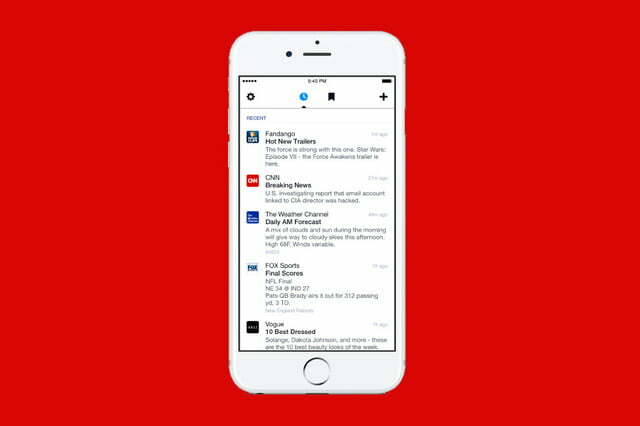 The impetus for Facebook’s mobile push is encroachment from Twitter, Snapchat, and other companies which increasingly perceive news as a means to drive engagement. Snapchat’s enormously popular Discover feature serves video from a host of publications. Twitter’s Moments provides a curated feed of pictures, videos, and tweets organized around top news topics. Google and a host of partner companies (including Twitter, incidentally) recently launched Accelerated Mobile Pages, an initiative to “dramatically improve performance” of webpages with rich content. 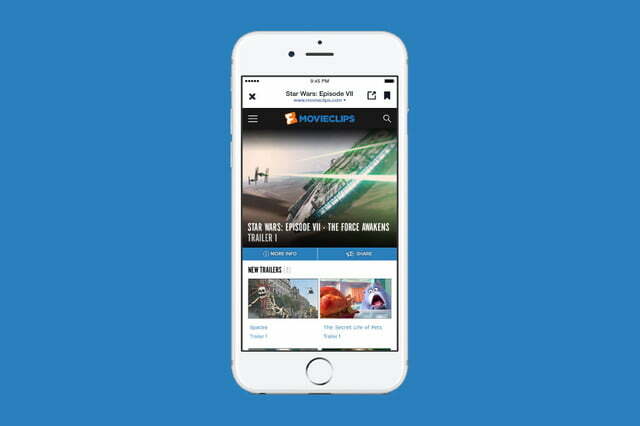 And Apple debuted its own news aggregator app, News, with the release of iOS 9.1. The competition may be fierce, but Facebook has a decided advantage: meteoric growth. In its third quarter earnings report on Wednesday, the company reported that 1.01 billion people now use Facebook every day on average. Meanwhile, videos hosted on Facebook now attract more than 9 billion views daily — about double the average view count from eight months ago.